Han Solo and Indiana Jones are two of my favorite movie characters of all time, and here's a wonderful illustration that pays tribute to these badass characters. 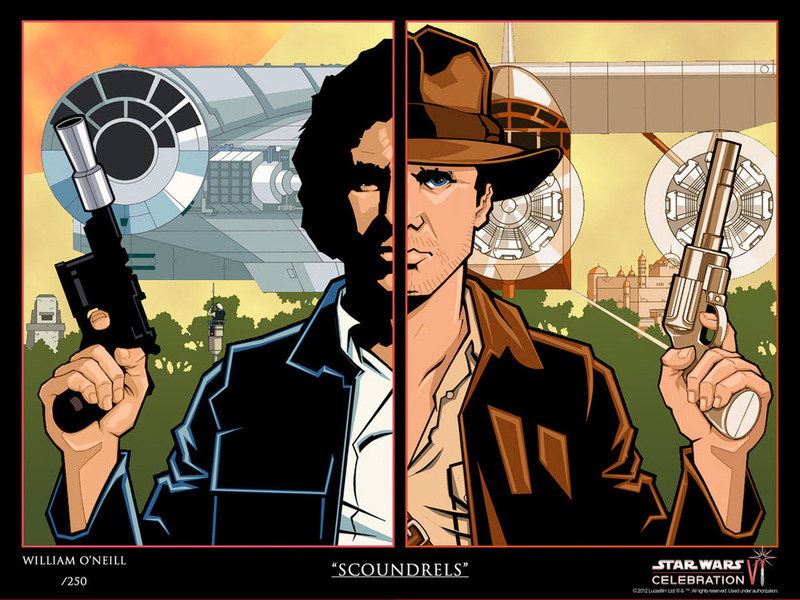 It's appropriately title "Scoundrels", and it was created by William O'Neill for the Star Wars VI Celebration in Florida. I'm now going to ask you a hard question... which of these two characters do you like more? INDIANA JONES and PROMETHEUS Trailer Mashup!